Located on the water on the Yucatan Peninsula is the walled city of Tulum. With history dating back to 564 AD, this city is full of modern scenes and stops for travelers from all around the world. 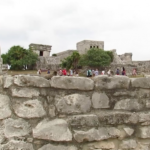 Unlike some other sites, Tulum is a relatively recent city. It was one of the last cities to be both inhabited and built. 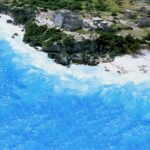 Tulum tours from Cancun are very popular and for good reason. One can explore the city by themselves but a tour guide gives you a true perspective of the city and its history. You will also get the chance to see the very best of the sights offered. Imagine seeing turquoise waters while you are visiting Mayan ruins. Standing where ancient peoples once stood. Exploring the buildings and grounds of a historical city. Enter Tulum, a town that has a historical section made up of Mayan ruins. Sitting directly on the water is the pre-Columbian Mayan port city known as Tulum. Despite being some of the youngest Mayan pieces of architecture, Tulum is a great example of Mayan architecture and design. 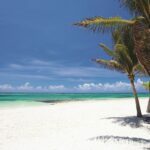 Enjoying a Tulum tour from Cancun can make a vacation a special and memorable trip. 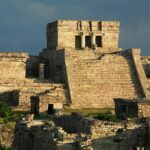 One of the reasons that many people opt to go to Tulum when they are visiting Mayan ruins is the fact that so many of the buildings are intact. It is considered by tourists and historians alike to be a magnificent specimen of architecture. Buildings in the Tulum ruins follow the standard Mayan architecture, including stairs surrounding buildings and ornate support pillars. Also at the Mayan ruins are caverns and amazing views. As you walk among the land that makes up this once holy city, you can take in the splendor of area and of mother nature herself. Tulum was very well positioned in the Mayan land because it was right on the water. It managed to last so long partially because it was such an important hub for the people of the area. Artifacts and practicality indicate that the people of Tulum traded with both those of Central Mexico and Central America at large. Traders would bring goods into Tulum to be distributed out to the other cities and towns. If the Mayans lost the ports, they would lose a portion of their commerce. Tulum even still operates as a town but has grown in size. Near the Mayan ruins of Tulum you can find the modern town, which includes everything that you would expect. While in Tulum there are multiple ruins to see, but three are set out above the others. El Castillo is the most notable for many, it is a temple that towers over the rest of the site and was used as a place to commune with the gods. The other two buildings that tour guides will make sure you see are the Temple of the Frescoes and the Temple of the Descending God. Many Tulum tours from Cancun take advantage of the other activities in the area. For example, zip lining and rappelling are offered with one of our tours to give those who want to enjoy some thrills while seeing the sights an option. Other options include adding other historical sites to your tour or going to nearby beaches. You simply can’t run out of things to do in the area. 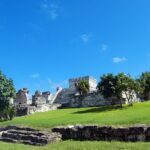 Tulum tours from Cancun are very popular not only because of the quality of the ruins but also because of the closeness to Cancun. 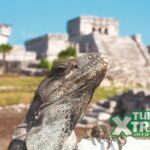 We offer a variety of tours of Tulum that allow you to get a feel for the area. From a quick express tour to a tour that involves local activities. All of our transportation options are air conditioned for your comfort! We also make sure to provide free time to explore Tulum, which is exciting as there are plenty of things to see. The best times of year to go are March thru August. This is when the weather is at its best. You can have the highest temperatures and avoid most of the rain. The earlier you go in that period, the higher the chance of better weather. If you like this tour you may also like our Chichen Itza Tour. Chichen Itza was the largest city built by the Mayan´s and is in close proximity to Cancun.